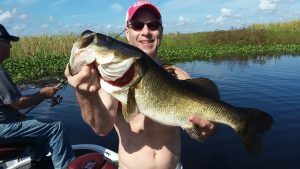 Okeechobee Fishing Guides - Book Your Trip Now! Paul Eidenschink, wife and daughter came all the way from Minnesota to celebrate their daughters dream birthday and a what a great birthday it was! 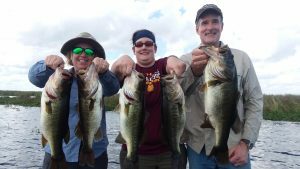 They caught over 30 Bass and several Large fish like the ones in the photo. The weather has been cool and beautiful and the fishing is awesome. These fish were caught on live wild shiners on a 6 hr trip. 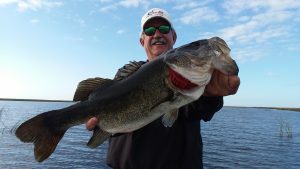 Today I took out Mike Mitchell from Colorado and we caught several REALLY nice fish with the biggest being 7lbs. He works with fish as a biologist in Colorado tracking Bass, Crappie, and a few species of trout in private and public streams and lakes. I learned some things and enjoyed hearing about the environmental impacts that he has seen since he started study the waters over 20 years ago. He is involved in several conservation initiatives that will help to sustain our habitats for future anglers. I look forward to fishing with him again in the near future and learning more about the projects that he is working on throughout North America and abroad. 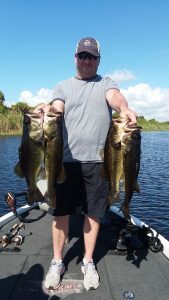 Steve caught all the good fish today, catching these beauties all within about an hr. These 4 fish all weigh over 5 lbs. 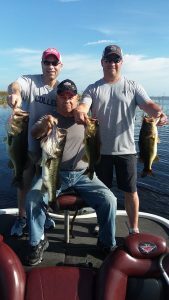 Phil and Louie also caught several nice fish but Steve took the day with these 4. Come and join on this winter for some great fishing and commodore with friends, family, or wife/girlfriend. 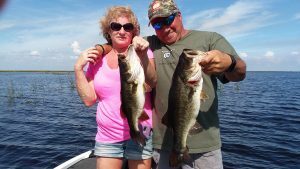 Jay Wildheur and his girlfriend caught these beauties on BIG wild shiners today. We caught over 30 fish but no giants today but lots of quality fish between 2-4 lbs. Sharon caught her first bass today and loved every minute of it. These folks were a joy to be with and I am looking forward to seeing them again in April. The bite has been very good all morning so it makes for fast action and lots of photo ops. 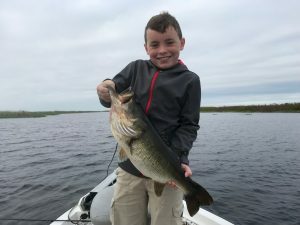 Okeechobee Fishing Guides would love to put you and your family/friends on some BIG Florida Bass so come on down and enjoy the fishing, sun, and beautiful weather!